Our understanding of how animals began to walk on all fours just took a big step, or stroke, forward. 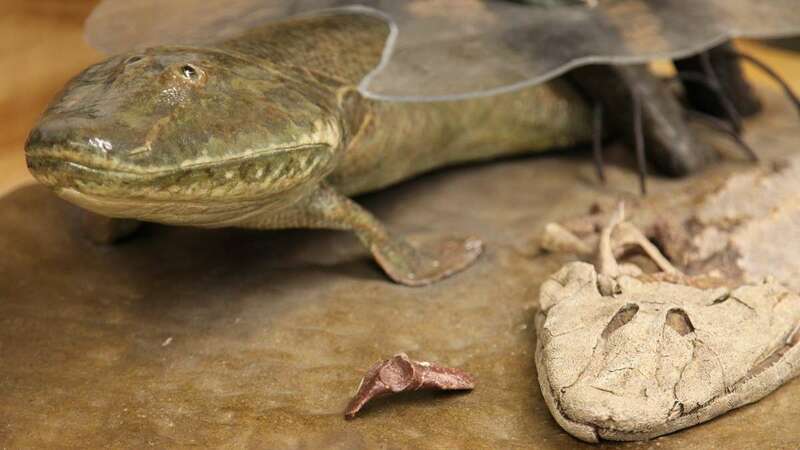 New research on the first pelvis fossil of Tiktaalik roseae — a 375 million-year-old creature that resembled a cross between a crocodile and a fish — suggests certain evolutionary shifts happened earlier than previously believed. 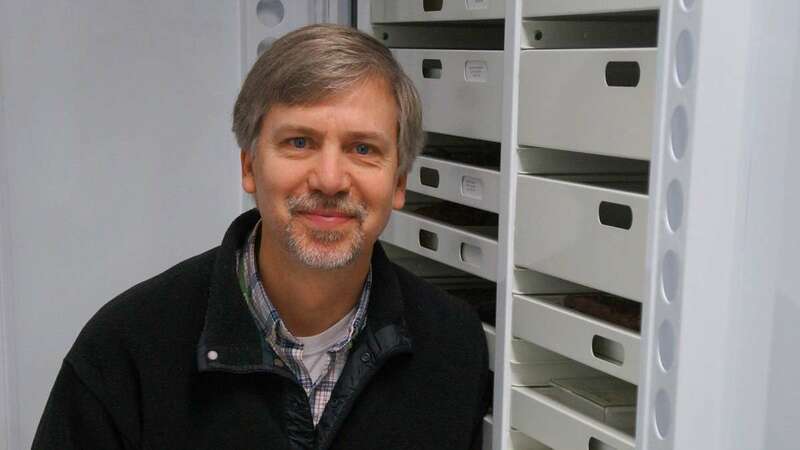 Dr. Edward Daeschler, associate curator with Drexel University, along with Dr. Farish A. Jenkins Jr. of Harvard University and Dr. Neil Shubin of the University of Chicago, co-discovered the fossil in 2004 during an expedition to northern Canada. Excavated in blocks of stone about the size of a pizza box, it took 10 years to safely separate the fossil from the surrounding rock, and to describe and study the different pieces in turn. The size and shape of the pelvis, with its deep hip socket and evidence of a long and well-developed back fin, share many similarities with later animals that could walk. This fossil adds to understanding of that transition. “We now have a clue about how it started. 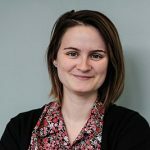 Because up until now, there was a big gap in the fossil record,” said Jennifer Clack, professor and curator of vertebrate palaeontology at the University Museum of Zoology, Cambridge. New information on transitional species such as Tiktaalik also shapes scientists’ views of evolution as a process. “Unique features appear before other things that may be tied to them appear as well. We call it ‘mosaic evolution,'” said Daeschler. For example, Tiktaalik had both gills and primitive lungs. 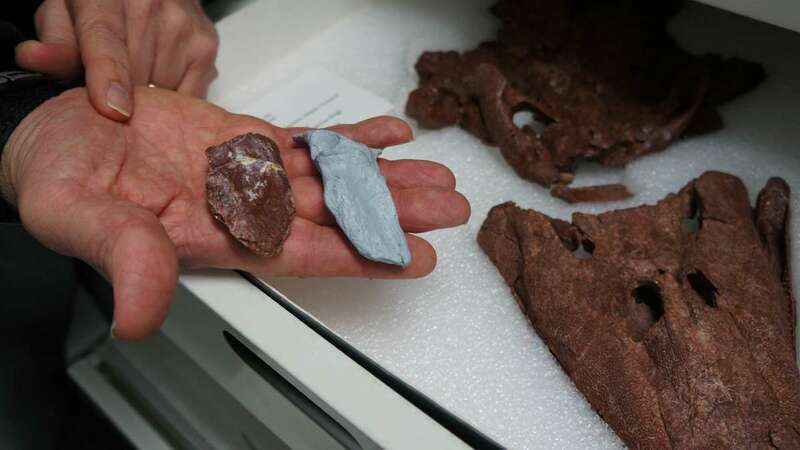 Over the course of 20 million years in Tiktaalik’s case, “we’re building a new animal,” Daeschler said.